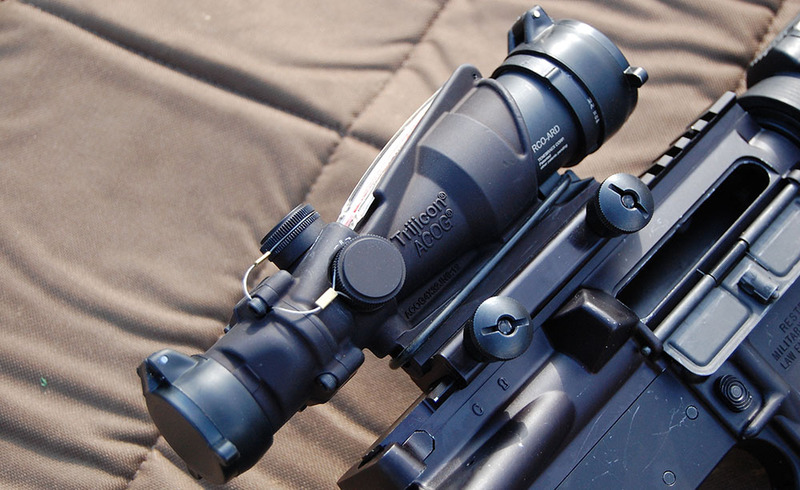 Optical sights have become the sighting option of choice for most firearm applications. It’s been a long time in the making. While optical instruments of various types had been in use centuries prior, it wasn’t until the 1830s do we have a formal, written account of their use. The Improved American Rifle was written in the 1840s and discussed their manufacture. A number of designs came out prior to the Civil War. Despite being a delicate technology still in its infancy, optics were used by both sides. While optical sights found regular military use by the mid 1800s, they were limited to precision use for sniping only. For over a century optical sights remained too delicate for common issue. It wasn’t until the 1980s that optical device became common issue and standard service rifles. The Austrian Steyr AUG and the British SUSAT mounted on the SA80 were among the first to be general military issue. Other countries quickly followed suit. We did as well. Starting in 1981 with an Occluded Eye Gunsight in 1981, Trijicon makes a variety of optics for military, law enforcement, and individual shooters. The company introduced their TA01 4×32 Advanced Combat Optical Gunsight (ACOG) in 1987 and the sight was included in the U.S. Army Advanced Combat Rifle program. While the ACR program ultimately did not replace the M16-series, the ACOG found its way into general issue. The ACOG was first used in action during Operation Just Cause in Panama in 1989 and then during Desert Storm. It has remained an issue optic ever since and is offered with a host features. Previously limited to precision use only, optics have become common for general issue, rack-grade service rifles. 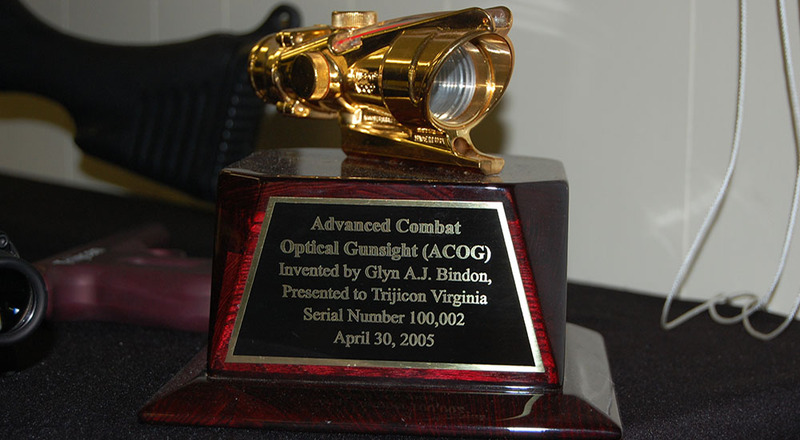 Trijicon’s ACOG is the most common magnifying optic in the United States military inventory. The original TA01 is still offered, remains an issue optic, and is preferred by many marksmen. This base model is a 4×32 optic built in a rugged aluminum body. Originally designed to wedge and mount inside the carry handle of an M16A2 with a peep in the base to allow use of the as-issue sights, the optic is now found with a Thumbscrew Flattop Adapter (TA51) for mounting directly to Picatinny rails. The reticle is a combination bullet drop compensator and range estimation device. Each aiming mark is spaced for the typical drop of .223/5.56mm cartridges in 100 meter increments. Once a proper zero is established each 100 meter increment from 100 to 800 meters has an aiming mark with no need to adjust the sights. The horizontal stadia subtends 19 inches at the marked distance, which is the average distance across the shoulders of an adult human. The horizontal aiming stadia closest in width to the silhouette simultaneously gives an good range estimate and aiming mark for hold over at that distance. The optic contains an internal tritium illuminator that gives the reticle a red glow in low light conditions. The other commonly-issued ACOG variant is the 4×32 BAC line, specifically the TA31F. Externally, the only obvious difference is a red fiber optic running diagonally along the top. This is a dual illumination system. The sight uses the fiber optic to automatically increase reticle brightness as the ambient light conditions are brighter. The reticle becomes more dim as the available outside light is lower. In low light or darkness, the tritium insert keeps the reticle illuminated. ACOG BAC models are dual-illuminated using tritium and a fiber optic on the top of the scope body to control illumination in all lighting conditions. Internally, the primary aim point is a chevron reticle, appearing as an open-bottomed triangle. The base of the chevron is 5.53 MOA subtending 19 inches at 300 meters. Just inside the base of the chevron is a vertical stadia line with horizontal aiming and ranging aim points in 100 meter increments marked from 400 to 800 meters, each one again covering 19 inches at their respective distance. Zeroing at 100 meters using the top tip of the chevron for an aiming point established the BDC out to 800 meters. Where the open base of the chevron meets the top of the vertical stadia is the 300 meter aim point and 400-800 continue below. BAC stands for Bindon Aiming Concept, named after Trijicon found Glen Bindon. With binocular vision, both eyes see an image and the brain process views from both into a single image. Different things seen by different eyes can be superimposed into a single, combined view. Red dot reflex sights work best with both eyes view down range and the sight is brought up like a heads up display. The aiming eye sees the aiming dot and the other eye continues to view the scene with the brain imposing both views together. A good way to learn efficient use of a red dot reflex sight is to block the objective lens, thus blocking the aiming eye’s view of the target. While the aiming eye can only see the dot, and the other eye can continue to see the target but not the dot. When done correctly, the brain superimposed both images together and dot simple appears floating in space onto of the target. The concept was first noted with the Armson OEG sight as that sight required it for use as the aiming tube is closed off at the objective end and can not be seen through. The Bindon Aiming Concept combines this with a magnified optic. It had been thought that magnification prevented this, however, Bindon noted that using the same approach with reflex sights such as the OEG worked under magnification. A higher power makes the apparent movement greater and blurs the seen, but the non-aiming eye remains on the target. As the sight approaches the target, it slows down, reducing the movement and making it easier for the aiming eye to pick up. This lets a shooter derive the speed benefits of a reflex sight with the precision benefits of magnified optics. An illuminated reticle can enhance this, which is why it works with red dot reflex sights. G. David Tubb notes in his book Highpower Rifle that conventional competition are shooting contests, not seeing contests. The round bullseye targets used in such matches are on large, white boards purposely set up to be easily seen. The SR, SR-3, and MR-1 targets used at 200, 300, and 600 yards respectively all have an aiming mark six minutes of angle in diameter. For shooting purposes, good iron sights give up very little compared to optics when used on well-defined targets. 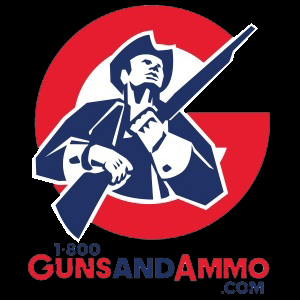 Comparing the scores winning the Wimbledon (any/any match rifle) and Leech (iron sight-only match rifle) cups at the Long Range Nationals reveals little difference at these 1000 yard matches. Similarly, the National Highpower Match Rifle record of 2396-161x (out of 2400 points possible) shot by Michelle Gallagher was shot with iron sights. 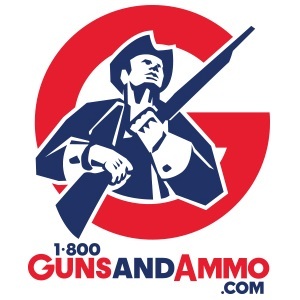 NRA rules have had a so-called Tactical Rifle class for years allowing match rifle shooters any sight option desired but the records set with iron sights continue to hold. With issue gear, the U.S. Army’s Squad Designated Marksman course allows provision for using both iron sights and optics for a combined qualification score. In running this course for hundreds of deploying Soldiers selected and trained as Designated Marksmen, it was common to have shooters fire better scores with iron sights than optics. This certainly does not mean that optics are a disadvantage. This only points out that good marksmanship has much more to do with shooter skill than equipment. Only novices believe optical sights offer some massive advantage toward shooting ability. Where optics start to offer notable benefits is field shooting. Targets in the field are rarely as convenient as large, perfect black circles placed on barn door-sized carriers with a white backdrop. Such targets are great for testing marksmanship as they are purposely designed to eliminate variables against good shooting, but they are not good for teaching shooting at erratic targets at unknown distances against natural backgrounds. Enemy soldiers and hunted prey might even deliberately try to hide from observation or from being shot. 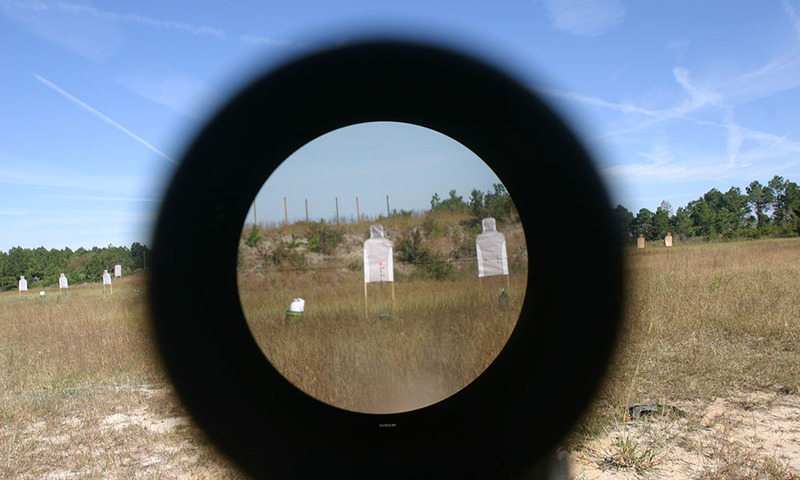 An optic helps the shooter discern objects and targets in such environments. Lighting conditions, irregular backgrounds, and poorly defined targets quickly become difficult to put iron sights to consistently and an optic helps. It doesn’t improve hold and trigger control, instead, an optical sight brings the sights and target into a single focal plane and magnifies the scene, making easier to discern. The USMC M150 is an ACOG 4×32 BAC featuring a TA31F dual-illumination reticle and horizontal mil scale. When I attended a training seminar hosted by Trijicon, Marines in the class said the reason the Corps was pushing the M150 (Trijicon TA31RCO-A4CP 4×32 BAC Rifle Combat Optic) down to every rifleman was observation benefits. In urban environments, many unknown contacts were noncombatants but all needed to be identified to weed out hostiles. For many squads, the designated marksman was the only person with an optical sight and squads were becoming overly dependent on one person to identify potential threats for an entire squad. In addition to the TA31 dual-illuminated chevron, the Marine’s ACOG features a horizontal mil scale to give correction for observation and fires. Yes, you sometimes here the self-appointed “old guard” griping about new recruits and current Marines qualifying with optics. While there are good reasons to train with iron sights, the marksmanship skills used are the same. The USMC uses well-defined targets on Table 1 of their known distance qualification that all Marines shoot. A skilled shooter shouldn’t have much difference in score between iron or optical sights on that course. The ACOG shows it’s own at unknown ranges against varied targets against a natural or irregular backgrounds. To Be Continued in: Maximizing ACOGs.